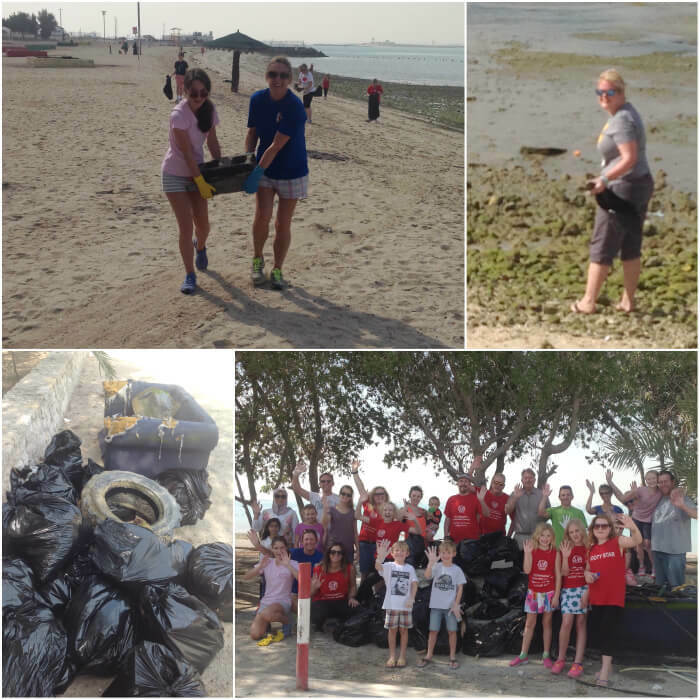 A sodden sofa, a carpet, a mattress, concrete blocks, as well as piles of metal piping and wood were just some of the items of junk cleared off Al ASRY beach on Friday morning by an enthusiastic team of staff from both the Senior and Junior Schools. Fortunately, the weather was not too hot, which meant the team of about of about 25 staff and their families could all work for longer and at a faster rate. Everyone’s efforts were well rewarded, and the beach looked much more inviting once the clean-up had been completed. It was not a typical trip to the beach but a most worthwhile one.